Finding a suit or tuxedo for an important occasion is difficult enough. Finding one that fits well can be even more of a challenge. Indochino is a world-renowned custom suit and menswear company founded in 2007. Indochino has found a solution for men’s suit-fitting woes. They offer customized measurement and personalization services to ensure your clothing fits perfectly. Indochino started as a 2-person company. In the beginning, it was just two twenty-something friends in Canada who were frustrated by the lack of customizable options in the menswear market. It has since grown to have a customer base of over 17,000 people in over 60 countries. Indochino now has showrooms in Toronto, Vancouver, New York City, and San Francisco. They also have locations in Philadelphia, Beverly Hills, and Boston. Indochino is an international fashion phenomenon. Are you worried about custom-fitted clothing costing too much? Indochino offers great clothing and apparel at affordable prices. Plus, we have the latest online coupons and promotions for Indochino listed on this page. Indochino’s website is loaded with style inspiration. You'll find a variety of different men sporting the company’s top-of-the-line suits. At the top of the homepage, you’ll find a toolbar listing categories. Browse new items, suits, shirts, sale, and accessories to assist you in your shopping experience. Indochino also has a revolving banner that highlights their ongoing promotions in the middle of the homepage. Be sure to keep your eyes open for great deals. You'll also find seasonal features directly on the Indochino homepage. It only takes a few minutes to fill out a measurement profile on Indochino’s website. Once you're done, you’re ready to order. Just pick out a suit and check out in no time. All your measurements will have been saved in your profile. Indochino stresses the fact that they need your actual body measurements. They can't make due with guesstimated sizes based on suits you find in stores. Just use a tape measure and follow the instructional videos they have available on their website. If there's an issue with your suit size when you receive it from Indochino, then you have a few options. Indochino will give you a $75 credit to take it to a local tailor for further alterations. Indochino will remake it for free. Thus, a perfect fit is guaranteed when you shop with Indochino. Why would you want to purchase a suit from anywhere else? Great prices and guaranteed fit have us sold on the brand. Indochino is best known for their selection of world-class suits and tuxedos for every occasion. With tuxedo styles available and photo views of models and fabrics available on Indochino’s website, shopping for your next suit is a breeze. Indochino carries a myriad of suit patterns. You can choose between checked, herringbone, plaid, solid, and striped. You'll also find colors ranging from classic black, navy, and gray to less-common colors like white and green. At Indochino you can shop for black and white tuxedos as well as indigo fine line suits for the office. Even find basketweave suits to wear to important business meetings and much more. Indochino also offers complementary pieces such as matching vests to complete your outfit. If you need a dress shirt for a less formal occasion, then Indochino has you covered. The website occasionally has sales on shirts, such as “5 for $300” (which equates to $60 per shirt). Otherwise, their shirts range in price from $77-139. Their pattern selection includes checked, plaid, solid, and striped. They offer most traditional colors, and even less common colors like burgundy, purple, pink, and orange. Add a little flair to your wardrobe with something different from Indochino. Do you need a dress shirt for the next office cocktail party? Maybe a casual shirt for Friday office-wear? Do you need to wear a tux for that upcoming wedding? Whatever the case, Indochino has all this and more. Of course, no suit would be complete without accessories such as cufflinks, ties, and pocket squares. Indochino has a huge selection of ties in many fabrics and colors. Their pocket square collection includes an eclectic assortment of silk and cotton squares. Find unique designs such as peacock silk, blue paisley silk, and black polka dots. Tie clips look stylish with any formal or casual outfit. Some designs include a funky mustache, a city skyline, and a smooth silver clip. Cufflinks are also available in several varieties. Checking out is a breeze with Indochino. If you have a promo code, then apply the code into the 'promo code' box as you’re checking out. 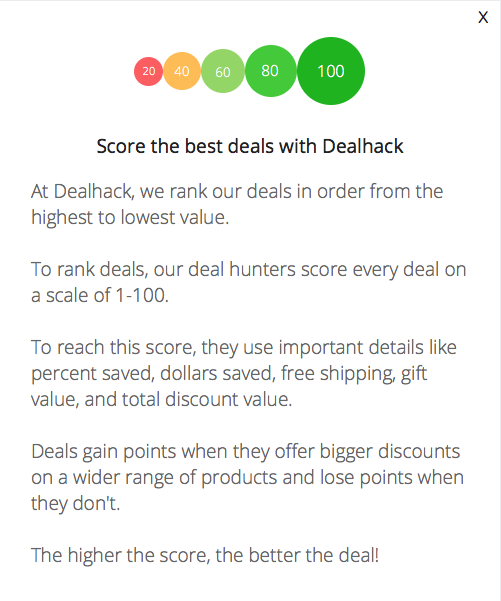 Always visit Dealhack first as we are always updating our Indochino coupons and promo codes. Indochino accepts Visa, MasterCard, American Express, Indochino gift cards, and PayPal. Would you like to contact customer care? Email customer care at [email protected] or call them at 1-855-334-0788. They can be reached Monday through Friday from 8 am to 5 pm PST or Saturdays from 9 am to 5 pm PST. Indochino is active on several social media channels. Find them on Facebook, Twitter, and Instagram showcasing their latest styles. You can also be the first to know about seasonal sales and new offers. Did you know you can get a free suit when you and your wedding party purchase your suits from Indochino? Now that's a heck of a good deal! Check the Indochino sale section for significant savings. Sign up for the Indochino newsletter to receive exclusive deals and style tips. We try to make sure we always have the best Indochino promotions listed on this page, but you can also check the coupons page on their website for any we may have missed. Refer a friend to Indochino and you’ll both save. They get $50, and you get $100 to spend at the store. Are you or a friend getting married? Let Indochino help when you visit the weddings section on their site. You can even qualify to get a free suit! Make sure to take and record your measurements carefully if you want your clothes to fit properly. If you need help, just follow the easy measurement guidelines. What is Today’s Best Indochino Promo Code? The best Indochino promo code right now is TREAT. This code is for 'Up to 60% off Everything'. Copy it and enter it on the Indochino checkout page to use it. Orders over $150 to the US receive free shipping on their attire and accessories from Indochino. If your order is less than $150, there is a global flat rate of $20 for shipping. Expedited shipping is not available due to the customized nature of the clothing. Indochino typically estimates that will take between 4-6 weeks to arrive at your home or office after ordering. Items are shipped worldwide via FedEx, though some countries are excluded from Indochino’s reach (see their website for more details). Indochino does not ship to P.O. boxes and a signature is required upon delivery of the items. Indochino offers risk-free custom suits. If you’re not happy with the tailoring of your item and it requires further alterations, Indochino will provide you with a credit of up to $75 for local tailoring. If you change your mind and would like to return your item, contact an Indochino customer service representative within 30 days to file a return and you can receive a full refund.